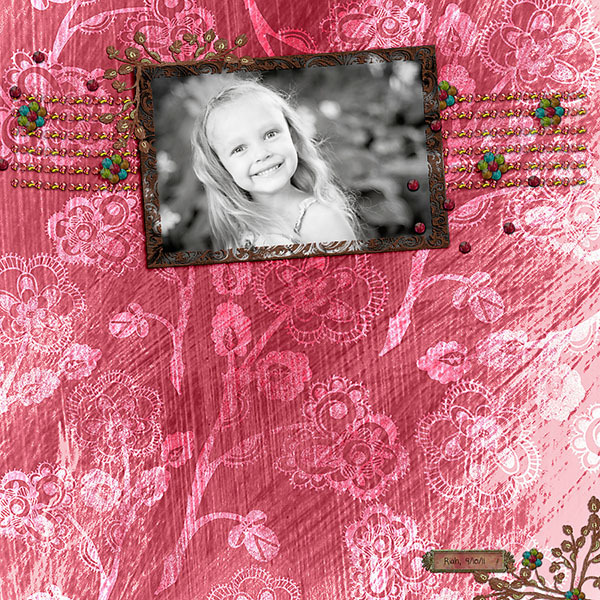 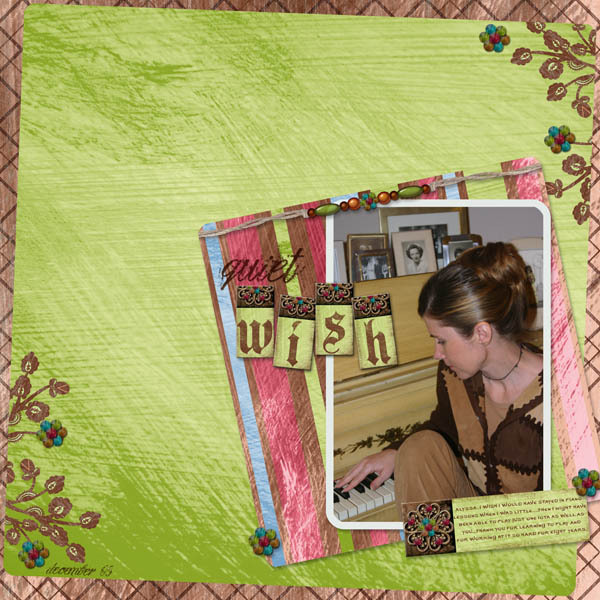 Create funky and trendsetting art with the jam packed element pak, which coordinates with our Boho Funk Paper Pak. 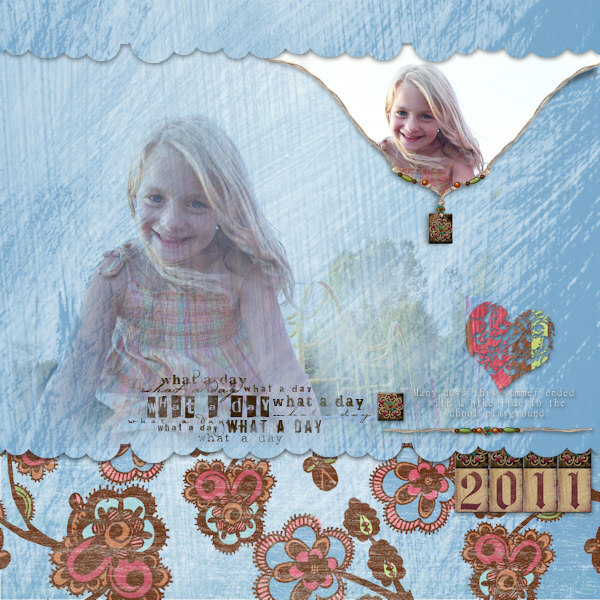 Tag, stamps, beads, funky frame, and funky phrases. 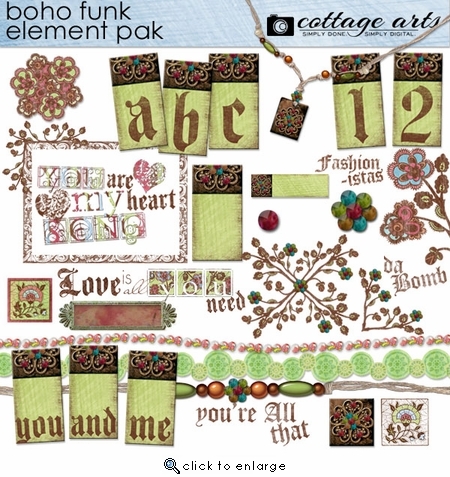 Also includes a beaded and artsy full AlphaSet: A-Z, 0-9, Blank, And, Me, and You! 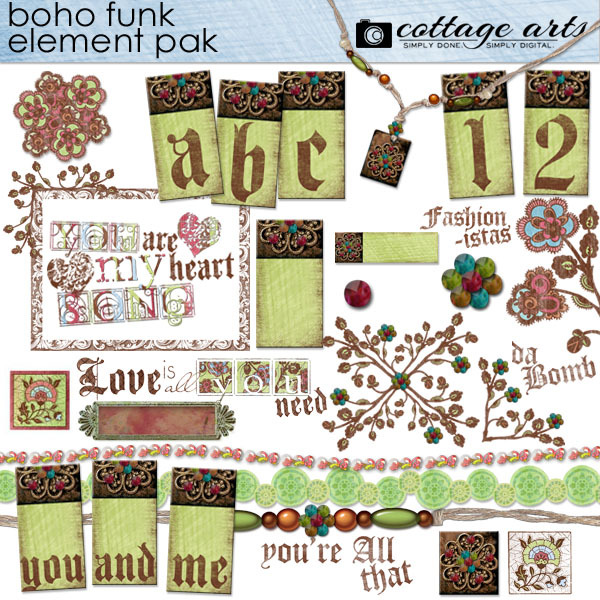 Note: Everything in this set included in the full Boho Funk Page Pak.